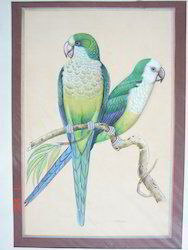 Leading Manufacturer of miniature painting birds, miniature painting parrot, mughal birds painting, elephant paintings and cat painting from Jaipur. With the help of our experienced professionals, we have been able to offer our respected clients a wide assortment of Miniature Painting Birds & Animals. Offered painting is designed by our experts by making use of excellent quality material & leading techniques as per the trends of market. Moreover, offered painting is accessible on several designs & finishes in fulfillment with the needs of customers. Our painting is checked before dispatching to customers so as to deliver a perfect range. 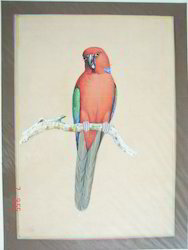 Finest stroke of Artist Harish Kumar Soni in Miniature parrots paintings . We use single hair brush of squrell for such a fine n minute detailing. 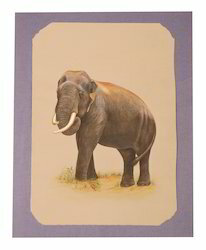 With the help of our state-of-the-art infrastructure unit, we are able to manufacture a superlative quality Elephant Paintings. Offered painting is fully hand formed, with intricate engraved designs and then is hand-etched by experienced craftsmen. 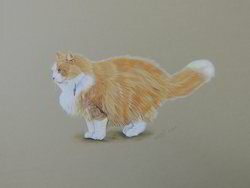 We provide these paintings in standard sizes and can also offer customization facility also. Moreover, our painting is checked from end before dispatching to customers so as to deliver a perfect range. 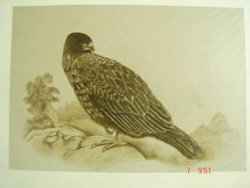 Miniature Painting Birds & Animals. 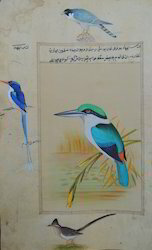 Looking for Birds and Animals Miniature Painting ?